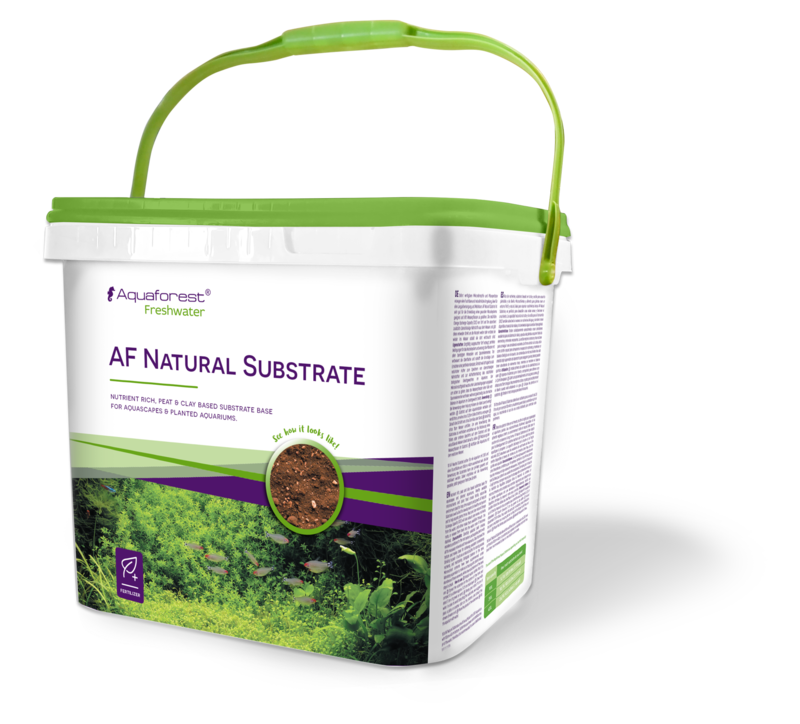 AF Natural Substrate is a nutrient rich, peat and clay based substrate base for aquascapes and planted aquariums. Readily available micronutrients and plant food within it create a fertile, nature-like environment, ideal for long-time plant support and growth. 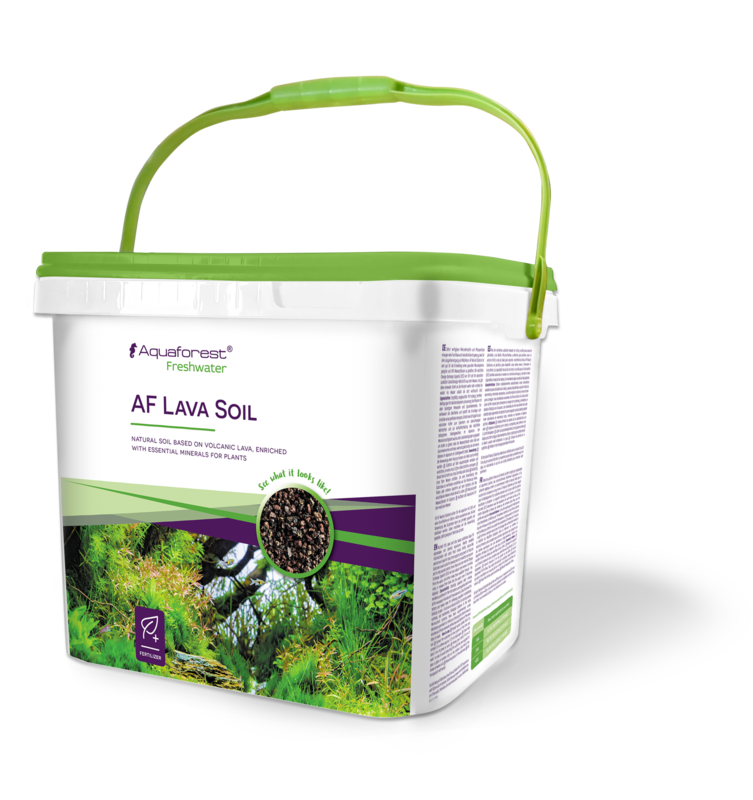 AF Natural Substrate is well suited for the development of a healthy root system, and to help aquatic plants thrive. Micronutrient contents have been supplemented under laboratory supervision to make sure that aquatic plants have an abundance of trace elements, while the chemical balance of the tank stays in check. 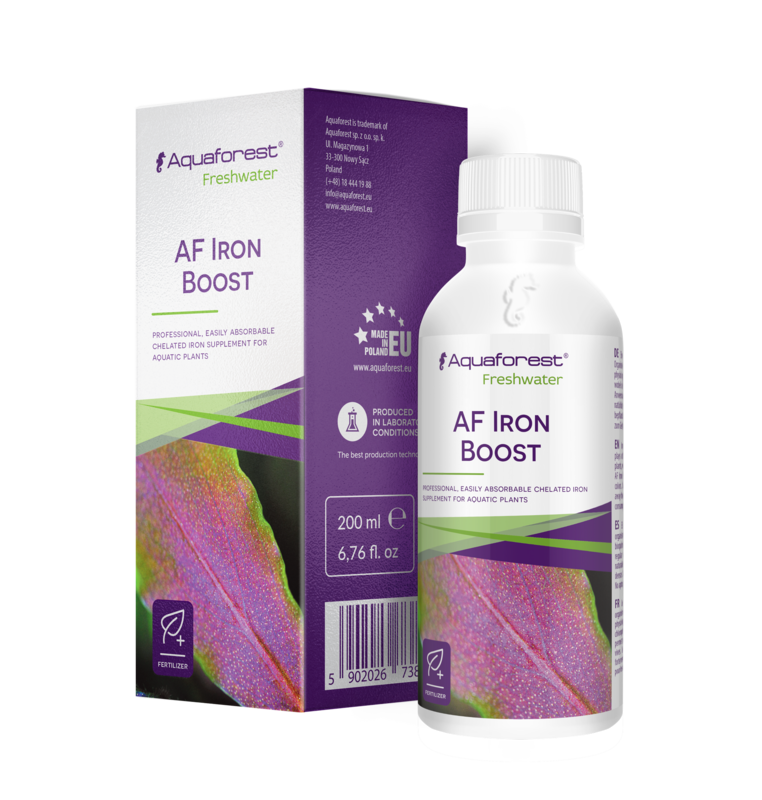 AF Natural Substrate is rich in micronutrients, so for the first three months Aquaforest do not recommend the use of fertilizers containing micronutrients, unless the plants show visible signs of deficiency. AF Lava Soil is a natural substrate based on volcanic lava, which is enriched with essential minerals for plant growth. When used, it slowly releases the substances contained within it, feeding the plants. The substrate is pre-rinsed, but aquarium water may become cloudy for up to 12 hours after the product is added. This is natural and does not cause any side effects. After approximately 12 hours has passed, the turbidity should subside. Because Lava Soil is rich in minerals, we recommend that you carefully dispense other fertilizers for the first six months after being added. This will help to control an over accumulation of Micronutrients. 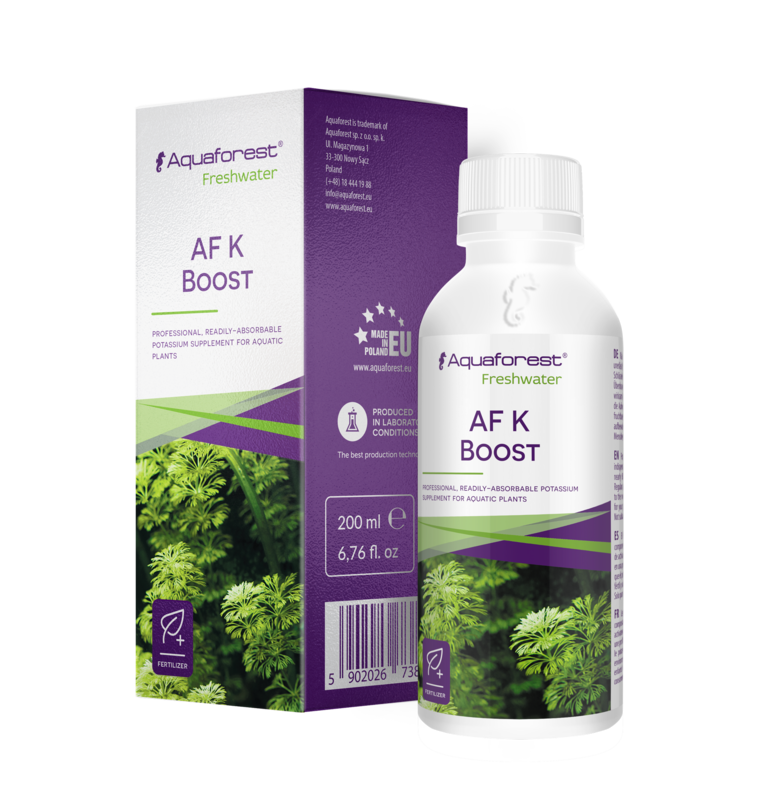 Highly concentrated formula containing macroelements essential for plants. This is a carefully selected and balanced composition containing nitrogen, phosphorus, potassium, and magnesium. Macronutrients are basic building blocks. They participate in formation of many cellular structures, proteins, and enzymes. In addition, they act as conveyors and accumulators of energy and form part of nucleic acids. Symptoms of deficiency, or excess of a particular ingredient depend on the specific function played in the plant. Normally, a deficiency of some macronutrient is manifested by inhibition of growth, growth of weakened shoots and discoloration of plant parts. The excess results in excessive growth, dark green leaves (in case of too much nitrogen), while the entire plant is weak and prone to damage. AF Macro is the basic fertilizer necessary for proper growth of aquarium plants. Description: Highly concentrated fertilizer containing macronutrients intended for aquarium plants. 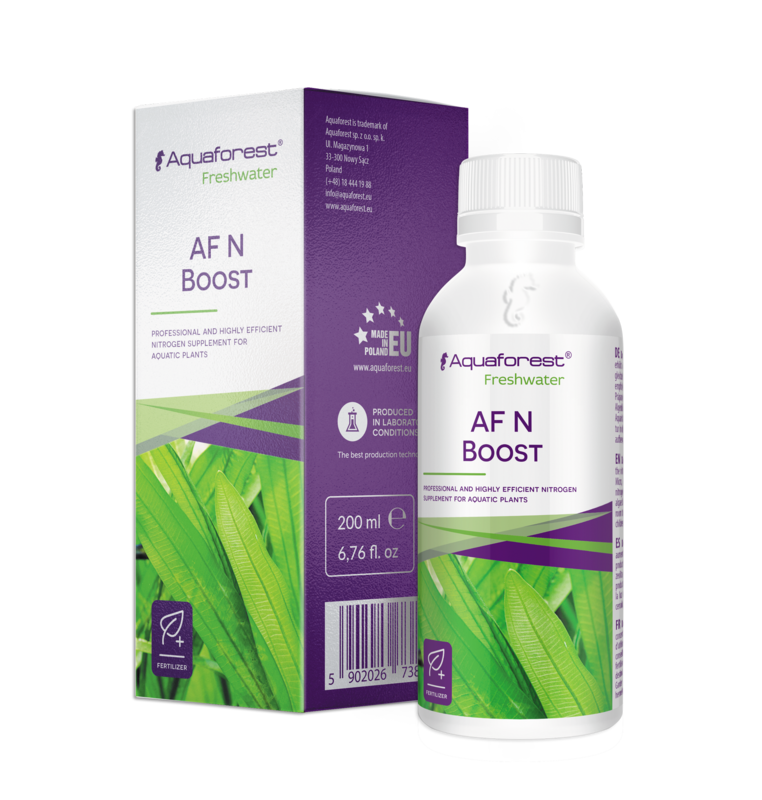 It is a composition of macronutrients necessary for proper growth and development of plants. Regular application ensures abundant growth, strong root system and proper appearance of the leaves. Highly concentrated formula containing the entire spectrum of micronutrients necessary for optimal growth of aquarium plants. Specially formulated preparation provides plants with essential elements such as copper, manganese, iron, molybdenum, zinc, and boron. Micronutrients participate in the process of chlorophyll formation, protein biosynthesis, and in many biochemical transformations. Deficiencies are manifested by disturbed photosynthetic activity, chlorosis and leaf deformation, and contribute to inhibition of growth and development. AF Micro is a perfectly absorbable composition of bioavailable elements which ensures healthy appearance of aquarium plants. Professional easily absorbable phosphorus fertilizer for aquatic plants. Phosphorus is a particularly important element for plants. A component of many types of proteins and enzymes, it also helps to build DNA. It is the main battery and energy conveyor in processes occurring within the cells. Phosphorus deficiencies are manifested by hindered plant growth and development, as well as leaf discoloration. The appropriate level of phosphates in the plant aquarium should be 0.5-1.5 mg/l. AF PO4 Boost is a formula which ensures the correct level of phosphate content in the aquarium. Professional formula composed from selected micronutrients and phytohormones stimulating red coloring of plants. The green color of leaves is conditioned by presence of chlorophyll. Red aquatic plants also contain other pigments such as xanthophylls, carotenoids, anthocyanins, and flavonoids. These give the plant shades of red, violet, and orange. Specific-purpose fertilization is necessary in order to bring out natural red coloring of plants. The content of phytohormones further enhances growth and development of plants. 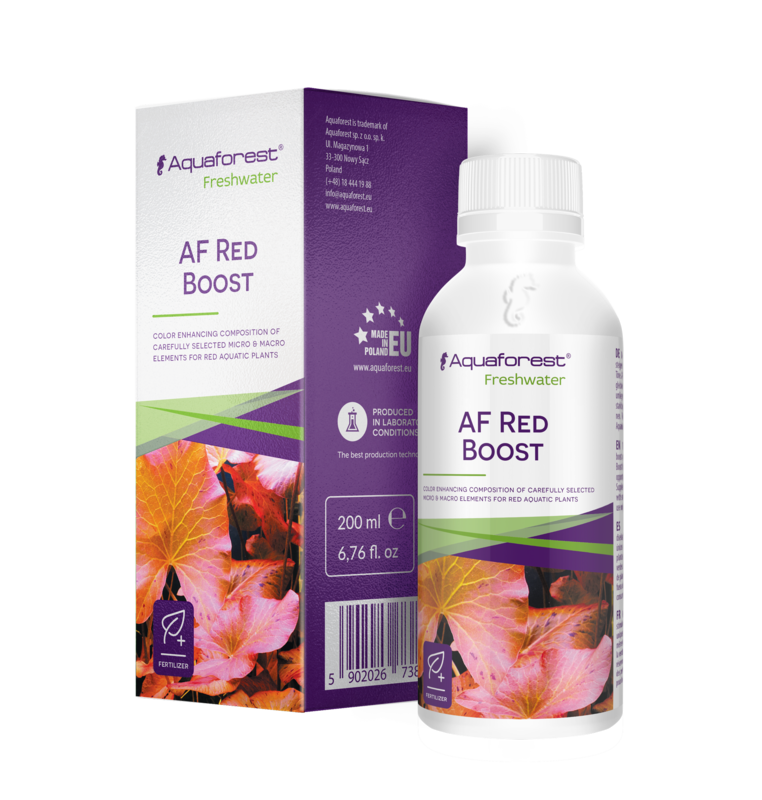 Carefully prepared AF Red Boost formula delivers all ingredients needed for a healthy look, impressive vivid plant coloring. Professional formula for general use in freshwater aquariums. Contains specially selected ingredients, helpful in the care of fish. It is especially recommended for convalescence in the course of fishpox and thrush. It supports fish resistance against pathogens, bacteria and fungi. Salt for RO water mineralisation contains minerals which boost resistance of plants to stress after rapid change of conditions in the tank. Stimulates faster regeneration of the plants after transplanting, trimming and changing water parameters due to its substitution. Contains all minerals needed to grow freshwater sh and plants. 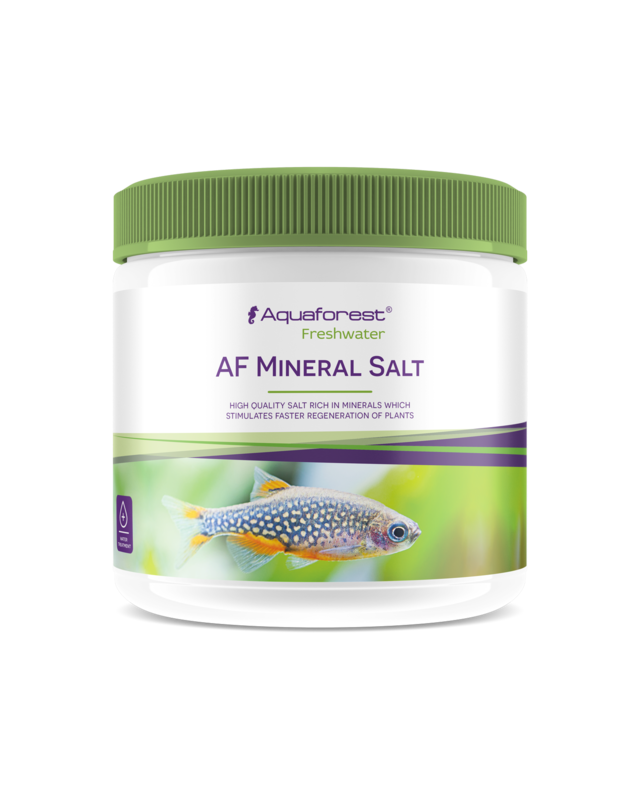 AF Mineral Salt perfectly prevents diseases caused by too low mineral content in water. The formula does not contain sodium, which could hinder healthy plant development. 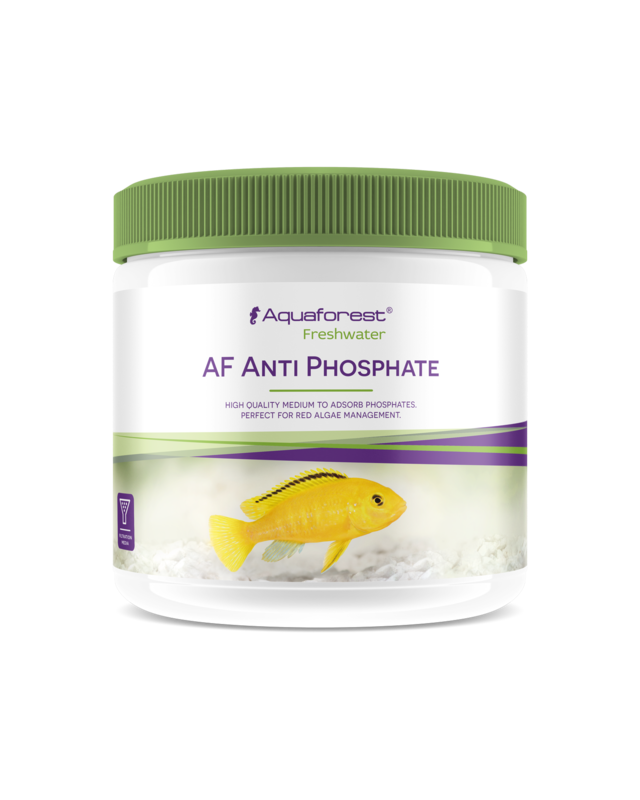 Product effectively eliminates phosphates from the aquarium. Unbalanced ratio of nitrate and phosphate levels in the aquarium water leads to development of cyanobacteria and nuisance red algae. 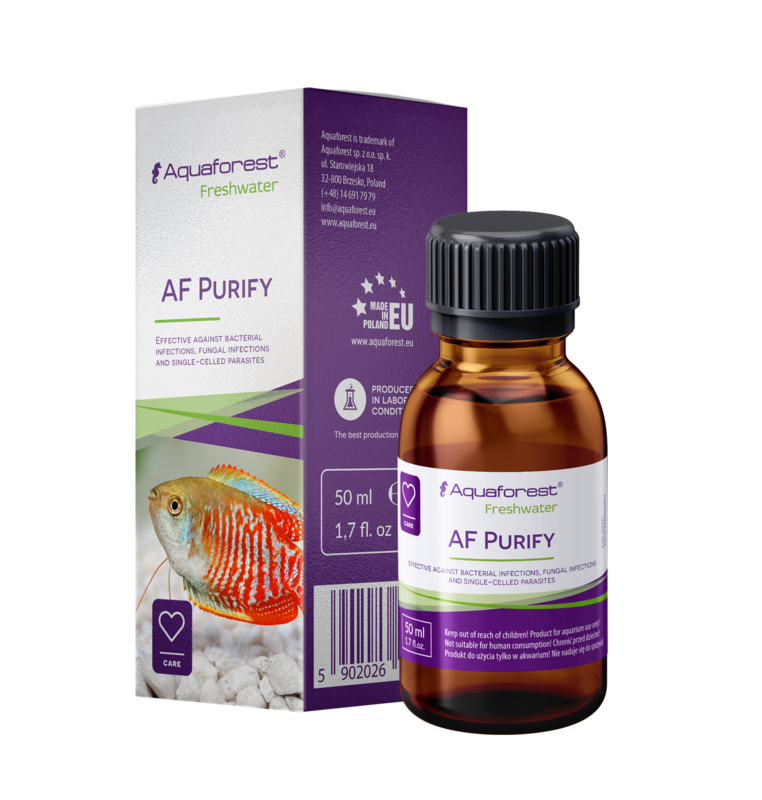 Due to its unique composition, AF Anti Phosphate adsorbs phosphates from your water without absorbing vitamins and crucial micronutrients. Maintaining a perfect balance between the phosphate and nitrate levels guarantees crystal clear water and optimal conditions for the growth and development of plants. 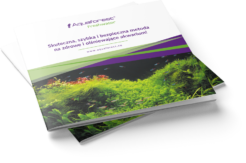 AF Anti Phosphate is especially recommended in tanks with a small amount of plants, overcrowded tanks and Malawi and Tanganyika biotope tanks. A mixture of specially selected zeolites, which task is to adsorb ammonia and excess heavy metals. High quality activated carbon granulate. 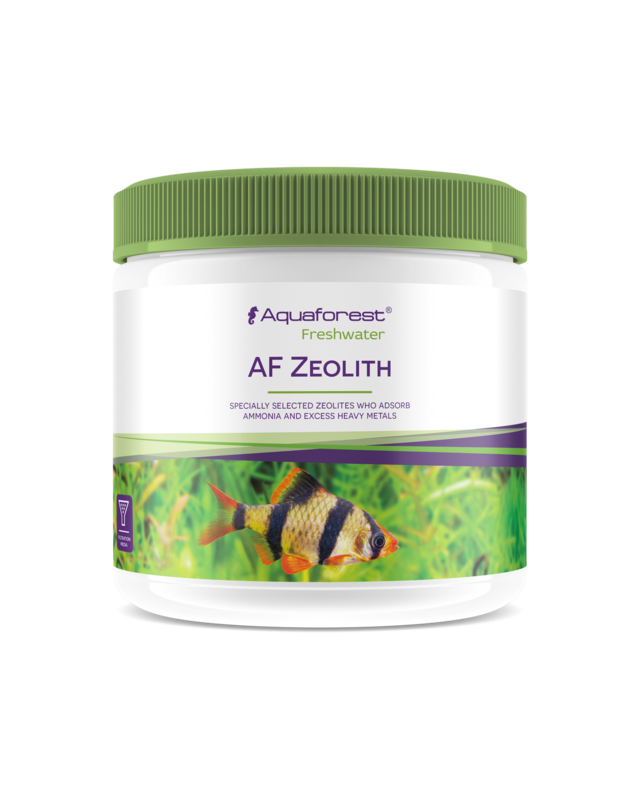 Removes undesirable chemicals in aquariums, thus improving clarity of water. 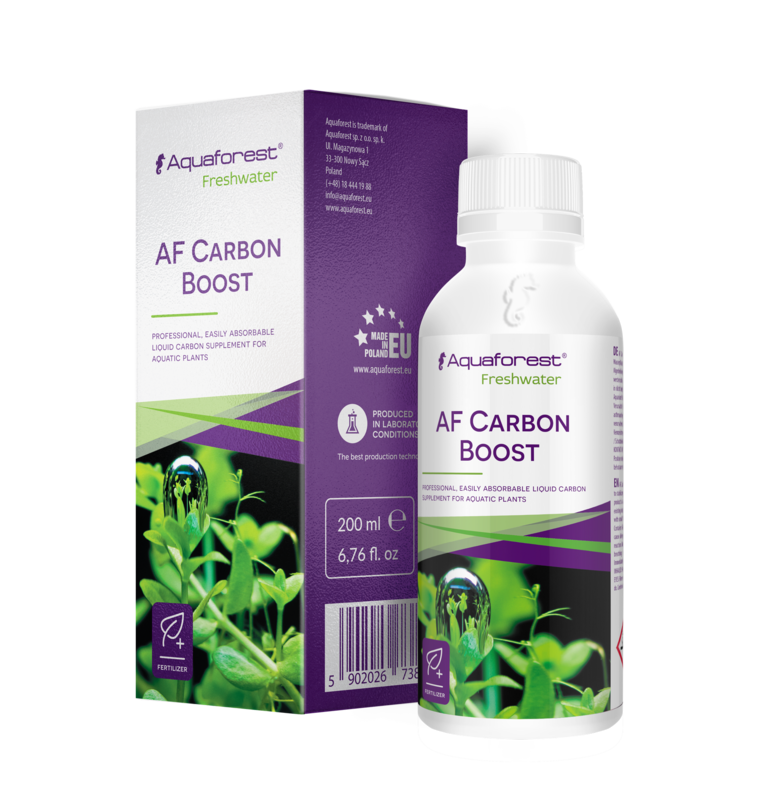 Recommended use of AF Carbon is only temporarily and for a short time, e.g. after treatment of sh, in the case of undesired residue in the tank or in the process of maturation of the aquarium. 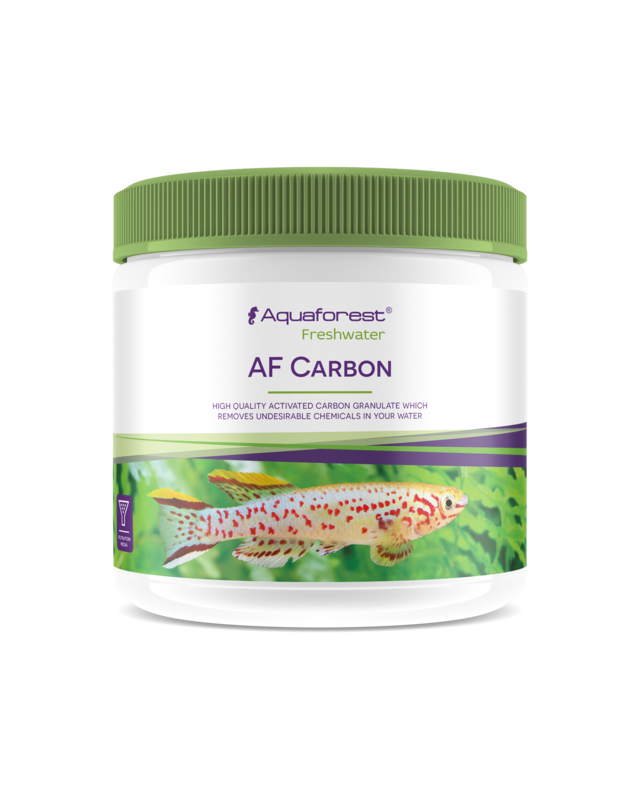 Thanks to the specially steam activated carbon, AF Carbon does not contain phosphates, is porous and, therefore, has a higher absorption capacity.